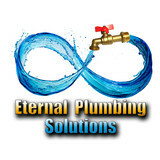 Eternal Plumbing Solutions offers clients in Las Vegas a more unique experience than our competitors. With a high value in cleanliness and customer service, we’re more than just your average plumbers. We know having someone new come into your home can be stressful. We are here to put all your worries at ease, allowing you to never have uneasy feelings while in your own home. A lot of people have preconceived notions that plumbers are dirty. After inviting our friendly and highly experienced plumbers into your home, we know we can change your mind. Along with thoroughly vacuuming and washing the work space, we also wear booties to protect your home from any outside dirt that could be brought in. Don’t worry about locking your furry friends up during our visit! We also are very dog-friendly, keeping in mind that this is their home as well. Serving the greater Las Vegas area since 1955, we provide exceptional service for all your home comfort needs. From heating and air conditioning service to plumbing repair, drain cleaning, and sewer line repair, count on our specialists to give you prompt, professional and courteous service for all of your home's systems. You can count on our fast and friendly specialists to provide safe, courteous service nights, weekends - or whenever you call. When our employees visit your home, rest assured that they have passed drug tests as well as national and local background checks , and are equipped to provide you with the service you need. We treat you and your property with respect by calling before we arrive at your property, providing an honest, upfront estimate you approve before any work is done, and we take care of your property by using shoe covers and drop cloths as needed. When you choose us you aren't just hiring a service technician, you're choosing peace of mind. We're open 24 hours a day, 7 days a week! Our trained, qualified, and experienced Plumbing and Plumbing Contractors, Leak Detection, HVAC technicians service your Plumbing, Water Heater, Heating, and Plumbing Contractor Needs. Anytime you have a Plumbing, Water heater, Garbage Disposal, heating, HVAC, A/C or electrical issue, our trained Plumbers and technicians in the Las Vegas, NV area will come to your home or business and diagnose your needs and fix them for you. Call (702) 396-5225 24 hours a day, 7 days a week. Ideal Services. Pure Plumbing provides first-rate plumbing services to clients at reasonable prices. The foundation of Pure Plumbing comes from employing qualified, professional plumbers who are trained to follow well-organized company procedures, in order to provide clients with a premier plumbing experience. Lange Plumbing & Fire Protection believes in service beyond expectation, achieved through a constant desire to anticipate and fulfill the evolving needs of customers. Further, it is imperative that safety be a priority and always observed, not only for ourselves, but for our customers and the general public. We are a family owned and operated plumbing business with over 36 years of exerience in the field, which has made us a very trusted company in the Las Vegas valley area! Innovative Plumbing Pros LLC., specializes in commercial and residential plumbing services in the Las Vegas NV area. We approach every job with the dedication and expertise that our clients deserve, and we strive to achieve customer satisfaction with every project. Innovative Plumbing Pros takes pride in exceeding expectations by providing a reliable diagnosis from expert professionals, transparent and complete quotes, and timely professional service. We guarantee that an experienced, certified technician will be performing the work on all projects, regardless of the size, and that the job will be done right the first time. It is our goal to build relationships and also retain them, which can only be accomplished by providing customer service and craftsmanship that supersedes the norm! It is the mission of Dignity Plumbing to be the premier full-service plumbing company in the greater Las Vegas area that lives up to its name. We stand behind our services and products by ensuring durability, reliability, and providing them with dignity. Our team of plumbers are driven by honesty, professionalism, and the unparalleled quality of service that our customers deserve. You can read what your neighbors in Las Vegas are saying about our plumbing services on our verified reviews page. Please send us a message through our website www.sincityplumbing.com if you would like a quote on a plumbing issue you are having. We look forward to hearing from you! Sin City Plumbing and Maintenance LLC is a local family owned and operated plumbing business which provides services and repairs for all your plumbing needs. We provide honest and reliable plumbing services throughout the entire Las Vegas Valley, including but not limited to North Las Vegas, Henderson, Green Valley, Summerlin and Seven Hills. 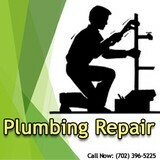 Family owned and operated Plumbing and Water Treatment Business that has been in the Las Vegas Valley for over 20 yrs. We are dedicated in keep our customers happy. Are you looking for he top rated plumber in Las Vegas? Then look no further. Here at the Emergency Plumber Las Vegas, we provide top quality service at affordable prices. Call us today for a 100% free in-home estimate! Your ONE STOP SHOP!!! Access Services Group is a family owned and operated company, our customer service is always first. We offer a wide range of services for Plumbing, Electrical, Air Conditioning and Heating repairs and replacements. We are licensed , insured and available 24/7 for all your residential and commercial service needs and emergencies. If you need a licensed plumber in Boulder, NV, come to Innovative Plumbing Pros, who has been your local neighborhood plumber since 2014. We have been offering a wide range of plumbing services including Residential Plumbing, Commercial Plumbing Contractors, Plumbing Repairs, water line repairs and tons more. We are committed to providing our customers with the highest quality of service. A plumbing contractor handles the installation and repair of water, sewage and natural gas pipes throughout a home, as well as interior and exterior faucets and fixtures. Plumbing contractors are also trained to work with water mains, septic tanks, laundry appliances, water heaters, sump pumps and other plumbing and pipe systems. Because plumbing repair work is done largely behind walls and beneath floors, some plumbing companies can also patch or replace tile, stonework and other surfaces. Although some Las Vegas plumbers are generalists, others specialize in specific areas; a 24 hour emergency plumber will handle urgent residential repairs, while others may be more skilled in remodeling, natural gas lines, overhead sprinkler systems and more. Find a local Las Vegas plumber on Houzz. Narrow your search in the Professionals section of the website to plumbing contractors in Las Vegas, NV. You may also look through photos of Las Vegas, NV projects to find a licensed plumber who has worked on a project similar to yours. Here are some related professionals and vendors to complement the work of plumbers: General Contractors, Septic Tanks & Systems, Kitchen & Bath Designers, Kitchen & Bath Remodelers.